Real Nappy Week: What do you need to get started? This week is Real Nappy Week, as promoted by the peeps at Go Real. You may have already seen my posts this week about the pros and cons of cloth, and why I personally use cloth. Getting started with reusable nappies can be a daunting process – there’s lots of jargon bandied around on the nappy pages, like BTP, AIOs, wraps, inserts, mircrofire, hemp, bamboo, liners, etc etc. It’s enough to put anyone off before they’ve even started! And then you read about the ladies who have 100+ nappies in their stash and you wonder how you’ll ever get there – but don’t worry, you don’t need hundreds of nappies to be able to cloth bum your baby. So that’s a pretty short and simple list – you don’t really need that much to get you started! Let me explain a little about each item, what exactly it is you need, and why you need them. The main types of nappies you get are All in Ones (AIOs), wraps, pockets and fitted. You also get Birth-to-Potty or Sized nappies. 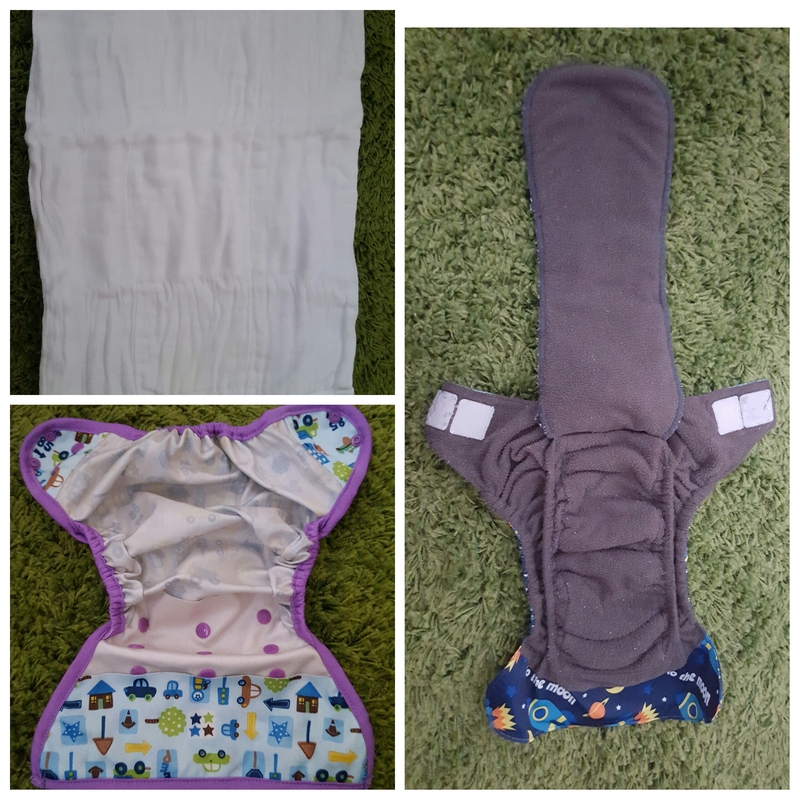 All in Ones are basically one nappy with everything sewn in – all the inserts you should need are part of the nappy, so all you’ll need to add is a liner (disposable or reusable). You don’t need to take it apart to wash it, just chuck it all in the machine as it is (apart from the disposable liner). If you have a heavy wetter, you may find you need to add an extra insert, known as boosting. Some people do this overnight to help the nappy last longer. Wraps are a different type of nappy – these go on either the outside of a fitted nappy, or have inserts or prefolds inside the nappy. Again the liner goes on top. The pro of a wrap style nappy is you can use the wrap part a few times before washing, as you just need to take the inserts out to wash.
A prefold goes inside the wrap. The AIO has the insert sewn in, all ready to go! Pockets are sort of a mixture of AIOs and wraps and inserts. 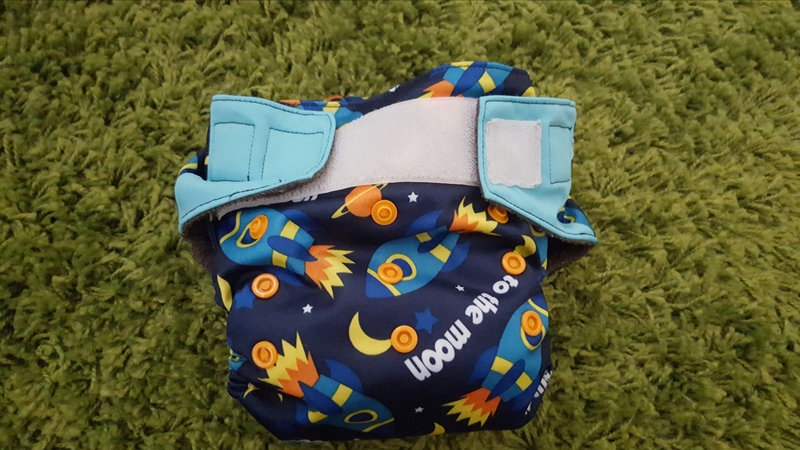 The nappy has a pocket opening at the back, and the inserts go inside the nappy and then the liner on top (against baby’s bottom). The whole thing then needs to be washed after one use. These are my personal favourite! Fitted nappies, or sized nappies, are sort of like the old terry nappies, but they come already in a nappy shape, so no safety pins to mess about with!! These can then have inserts put in them to ‘boost’ if you need to. Then you just pop a liner in, and put a wrap over the top to keep the moisture in. Because they are only one size, you will need to buy new ones as your baby grows. A fitted nappy – image from google as I don’t have my own! Birth-to-Potty (or BTP) are nappies which are meant to last the whole time your baby is in nappies. They have a series of poppers that you can change to make them bigger as your baby grows – called “changing the rise”. All nappies will be fastened using either poppers (sometimes called snaps) or velcro (often called hook and loop). You might find you have a preference to what you use (I prefer poppers, especially now Alfie can undo his nappies!!). As a guide, it is recommended that you have 15 nappies if you plan to wash every day, and 25 if you plan to wash every other day. I have 15 nappies, and wash every other day, but Alfie isn’t in cloth full time. I am planning to build up my stash and buy a few nappies as and when I can afford to. Microfibre: This is very absorbent and will soak the wee up quickly, however this means that it can’t be used on it’s own as it will cause leaks quickly. You should also never place it directly against your baby’s bottom as it is very drying (you might notice that you get dry hands if you have sensitive skin and handle the mircrofibre a lot). This is a popular insert to use because it’s cheap. 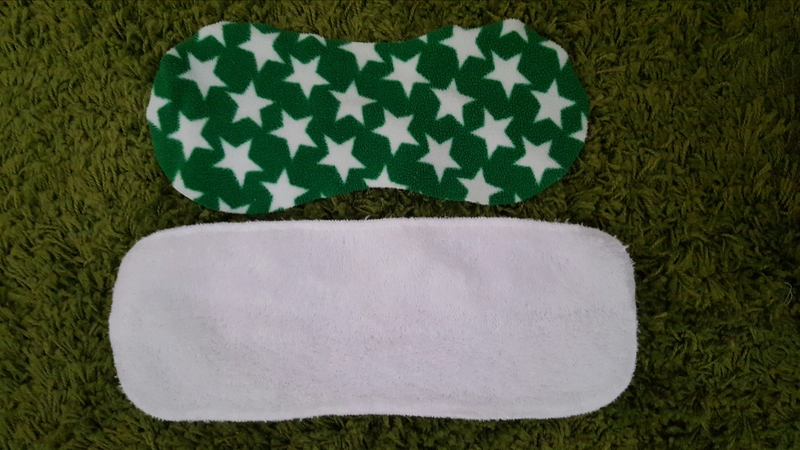 Bamboo: This is a slow absorber, and is great to make a nappy last longer and it draws out the moisture slower. Hemp: This is a brilliant absorber, and holds A LOT! The downside to hemp is it is more expensive than microfibre and bamboo, which is why I don’t use it as often. 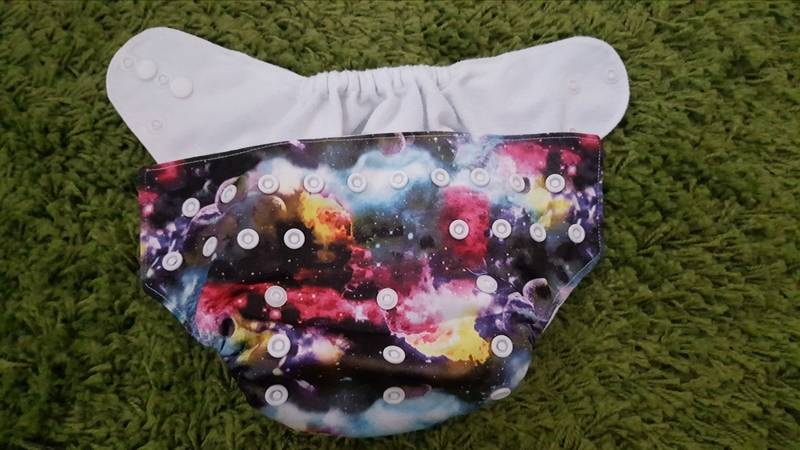 The liners are the bits that go on top of the nappy – so either on top of the inserts if you are using wraps, or on top of the actual nappy if you are using pockets or fitted nappies. You can use disposable or resuable (usually fleece) liners. The reason to use liners is to protect the nappy from poop stains! Disposables are great because they can just be chuck in the bin (NEVER flush down the toilet, even if they say you can, as this isn’t great for the environment, and can also block your drainage system!) Fleece liners can just be put in the wash with your nappies. 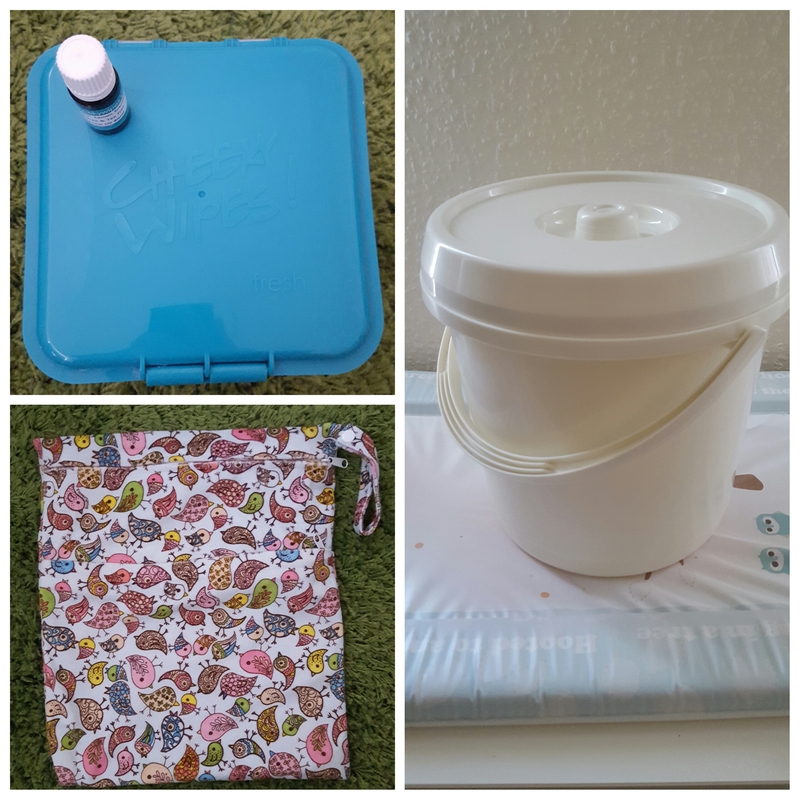 I started out using disposable liners, but because breastfed poop is basically liquid, it was pretty pointless, so I started using fleece and now I much prefer them. When the poop gets more solid, you can just flick it in the toilet and flush it away – no mess! Reusable liners – both fleece, but the white is my favourite because it’s sooo soft and fluffy! Traditionally, nappies had to be soaked in water before they were washed – now you don’t need to do that. So all you need is a lidded bin to store the nappies in while you are waiting to wash them. Put a mesh laundry bag inside the bin, so you don’t have to touch the dirty nappies when you put them in the washing machine – you can just lift the bag out. It is handy to have a wet bag to put your dirty nappies in when you are out and about. They are usually zipped which helps keep the smell in. Some people prefer to use this at home as well, rather than a nappy bucket. If you are using cloth nappies, it makes sense to use cloth wipes as well. We started off using wipes before we used cloth nappies, and we love them (even my husband will use them!) 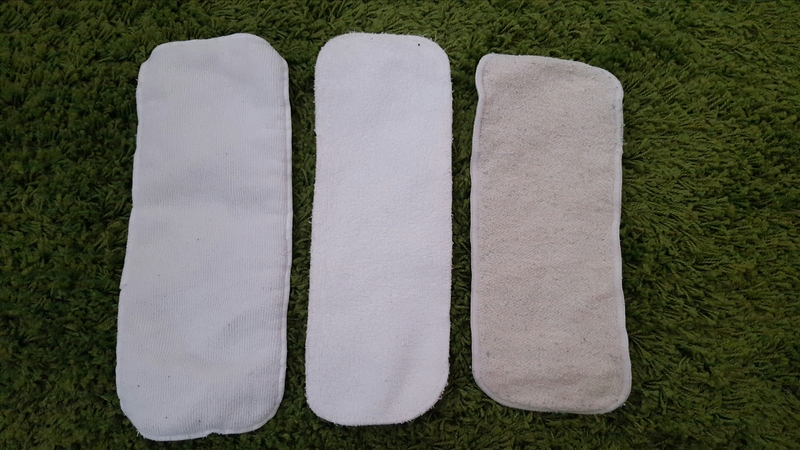 You get different types of wipes – cotton terry, minky, bamboo and fleece. We personally use cotton terry for bum changes and bamboo for face wipes. We have a box to store them in so they are already wet, and then we just chuck them in the nappy bucket when they’re dirty. We have a clean wet bag for when we are out and about, and use the nappy wet bag for the dirties. You can also put a nice smelling oil in the water before you wet them to give them a lovely smell – we use a lemon one which is lush!! So there you are – a brief explanation of what you need to get started using cloth nappies. The “kit” isn’t extensive, and once you’ve bought it, no need to have to remember to buy nappies in your weekly shop. The only thing you then need to buy is more nappies if you get addicted to the pretty prints!! Tomorrow, I’ll let you know my favourite brands! 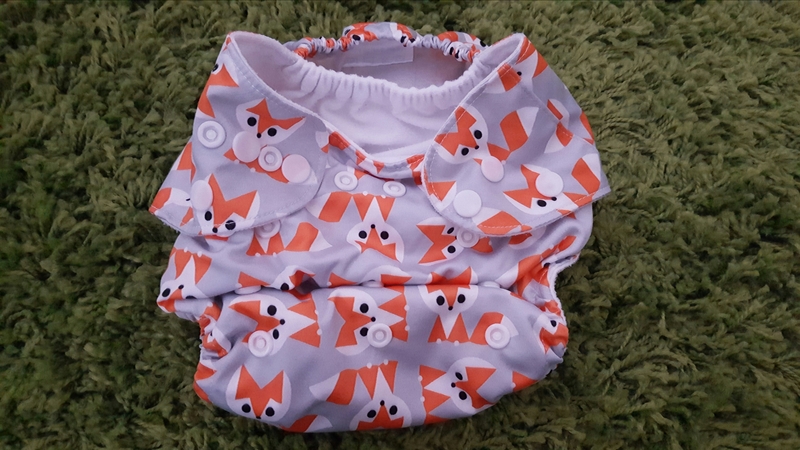 Thanks for reading – I hope posts like this can show people how easy cloth nappies can be, I think more people would use them if there was more information about them. Thanks for sharing – great info here! 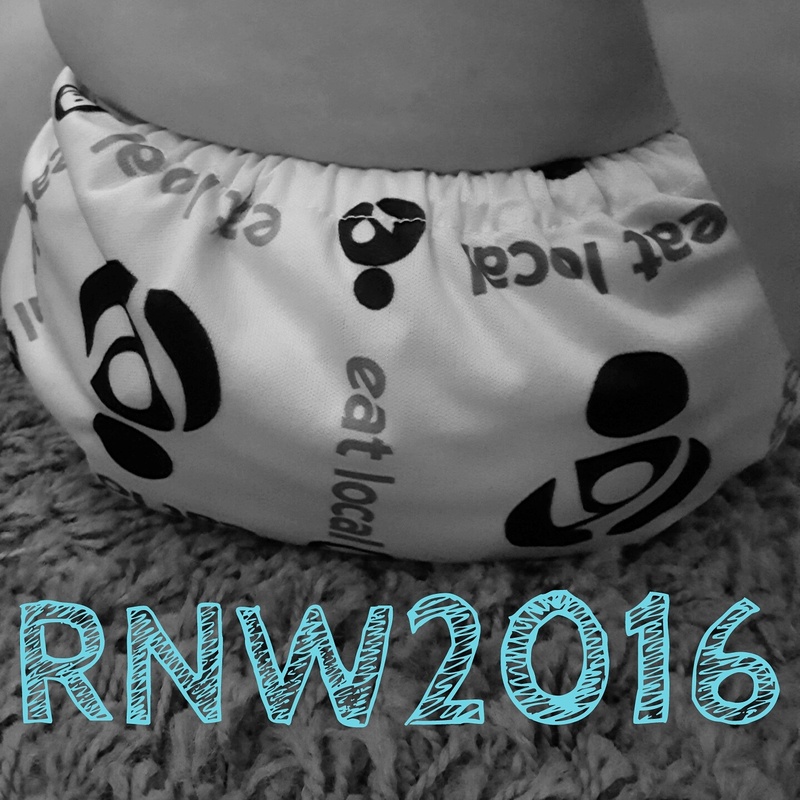 We are big fans of cloth nappies but only managed to use them for the 3rd one in the end! Off to share this for RNW2016! Thank you! I’m hoping to convert my husband to my love of cloth, and start using it full time soon ?